The Framax stripping corner I was designed specifically for use with shaft formwork. 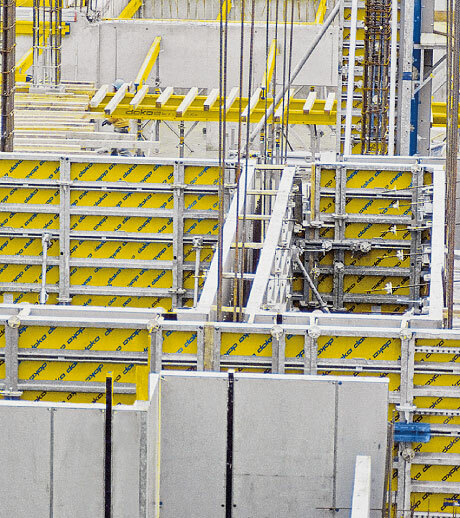 It enables the formwork to be closed and opened in accordance with accident protection regulations, i.e. without using the crane, simply by operating easy-to-turn spindles with a reinforcement rod or the convenient ratchet. It is then lifted and reset in one piece, thus saving crane-time. 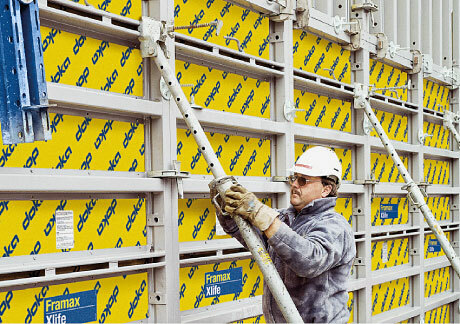 The Framax stripping corner I is also suitable for use on pilasters and as an inside corner on wall formwork. 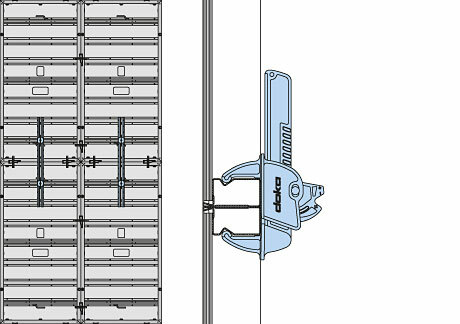 With its 15 cm clamping range, the Framax multi-function clamp matches the panel size-grid exactly. This means that only one closure is needed per wall plane. For operating the lifting hook safely from ground level, for plumbing and aligning the formwork and for pulling out double-headed nails. 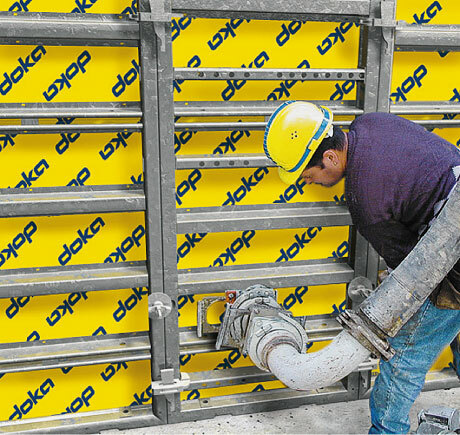 This makes it possible to place self-compacting concrete (SCC) by pumping it into the formwork from below. It can be used for both walls and stop-ends. 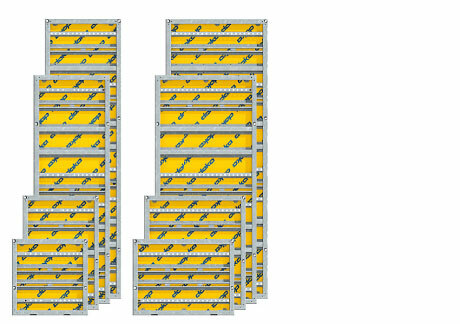 The wide form-tie spacing of up to 1.35 m delivers huge cost-savings. The large, conical form-tie sleeves in the panels enable them to be stood at an angle on one or both sides, and to be height-mismatched. 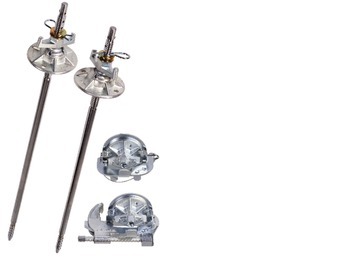 Allows form-tie points to be prepared quickly and reliably by just one man. 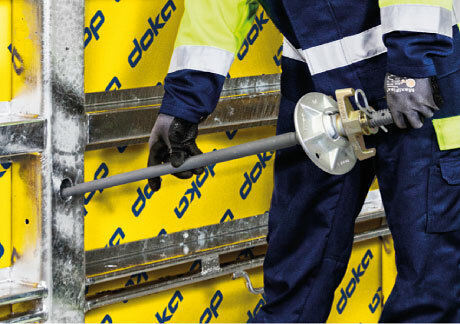 This ergonomically comfortable option for manipulating the ties from just one side of the formwork saves time, and thus shortens the forming-times. The combination nut is both the panel connector and the form-tie nut. It holds the panels together on the side that is put up first. 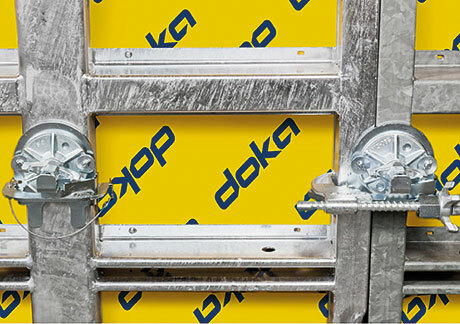 On the extra-large panels, the form-tie nuts are bolted onto the frame profile. After the formwork has been closed, the Monotec ties are fitted from one side and tightened with the Monotec ratchet. Only two different types of conical Monotec tie are needed for economically forming wall thicknesses of between 15 cm and 35 cm. Connector-rails across the entire width of the panel make quick and easy work of attaching accessories like panel struts, universal walings and pouring platforms, with no obligatory fixing points. A blow of the hammer is all it takes to join the elements. This makes for fast working, with no need for any additional tools. 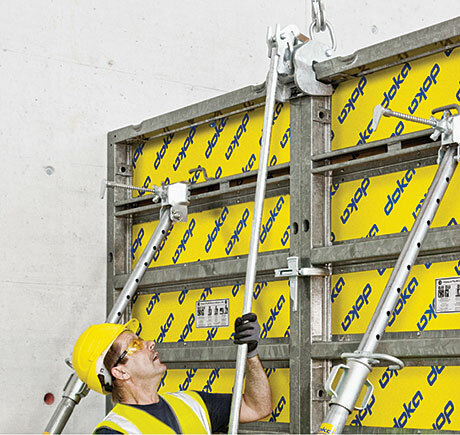 Up to a panel height of 5.40 m, the multi-function clamp, with its larger contact surface, ensures self-aligning inter-panel connections. 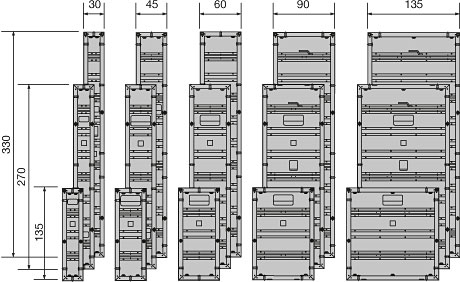 For higher vertically stacked gangs than this, Universal walings are used to give the gang-form extra rigidity. This makes it possible to put up and set down larger gang-forms by crane. 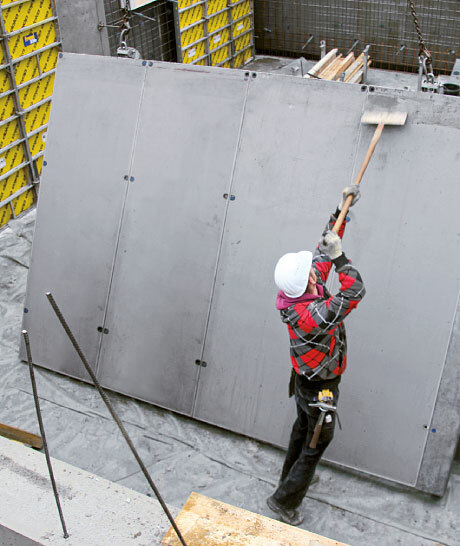 The special hole-grid in Framax Xlife universal panels makes them ideally suitable for cost-saving forming of outside corners, wall junctions, stop-ends and columns. Corners at any angle, stop-ends and T-junctions can all be formed swiftly and dependably using the inside corners, hinged corners and versatile Universal panel from the Framax "construction kit". 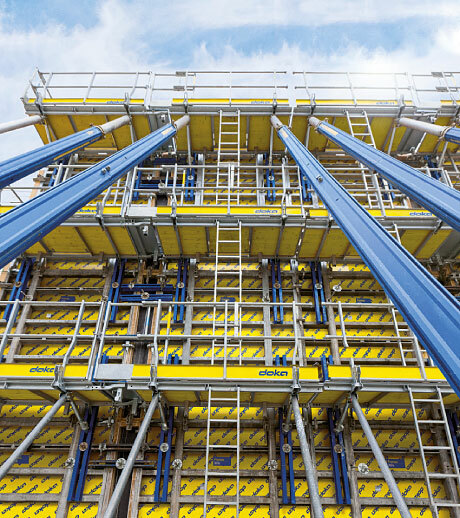 This is the way to avoid costly field-built solutions. 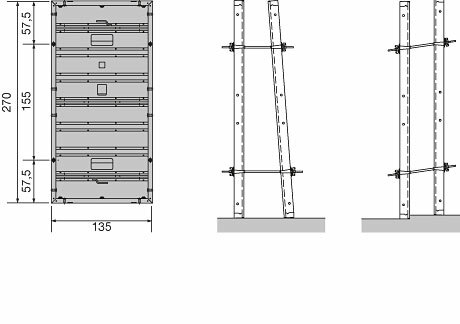 These pre-assembled, fold-out working platforms, with their integral front/rear and side railings, ladders and self-closing manhole lids, are ready for immediate use and bring about decisive improvements in workplace safety. Thank you for your interest - Framed formwork Framax Xlife. Thank you very much for your interest - Framed formwork Framax Xlife.